These tips are generalized for a reason; not everyone needs help in the same area. Use these tips as a guideline and apply them to your situation if you really want this to work. If you’re having trouble off of your chest or even on lockout, adding paused bench will really help your sticking point. I prefer paused bench over a regular style because it teaches you patience, builds muscle endurance, and it simply works. A simple one to three second pause will be plenty to shake things up. Start with a little bit lighter weight so you can get used to them. Your chest and triceps can really take a beating – sometimes they need that. If you’ve been working in the 5 or under rep range, try switching to an 8-12 rep range. This is going to be a huge shock to your muscles and you will slowly start to realize how volume can really improve your strength. Remember, increasing strength doesn’t just mean your 1 rep max. Using chains or resistance bands for training is something that many elite powerlifters utilize. You can essentially overload parts of your bench that need work, while still getting in the needed overall work. Using chains to slowly overload your lockout or using bands to help overload your lockout or off the chest will give you that extra umph needed to really make some progress. Buying from us ensures that you are getting the proper equipment and the know-how to use it right. Getting multiple views recorded of your form will help you in the long run. You’ll be able to see any major flaws in your form, as well as anything you may be able to improve. There are small queues that happen like your right wrist starts to dump, causing you to lose your groove and that’s why your right side always has issues locking out. You’ll be able to notice those things when you are able to go back and look at your form on video. You don’t have to share the videos with anyone unless you want advice. 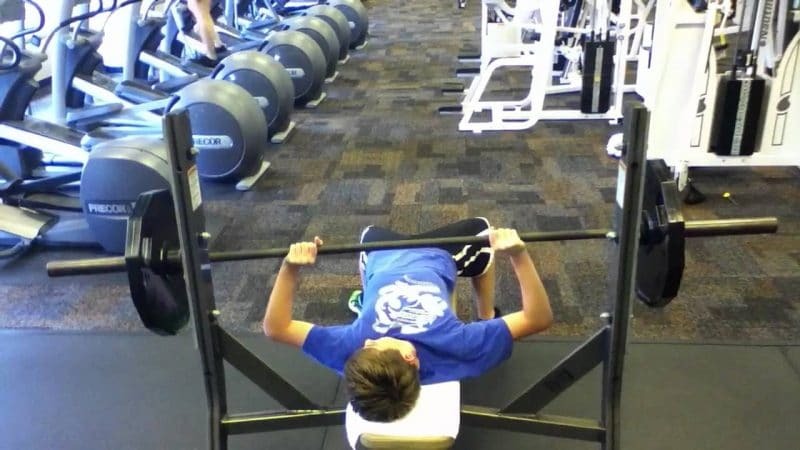 This one may sound like common sense, but you would be shocked at how many times I hear “I’ve been benching 135 for reps for months.” I understand, you get a weight and you want to push it to the max… but why not add weight in the process? Progressively overloading means that you are progressively adding more resistance (weight) to the bar every time. Simply adding 5 pounds to your lift every week will give you massive gains by the end of the year. Don’t be stupid and start planning out your lift attempts and be sure to progress in weight. One thing that I didn’t mention here was to stop testing your strength. 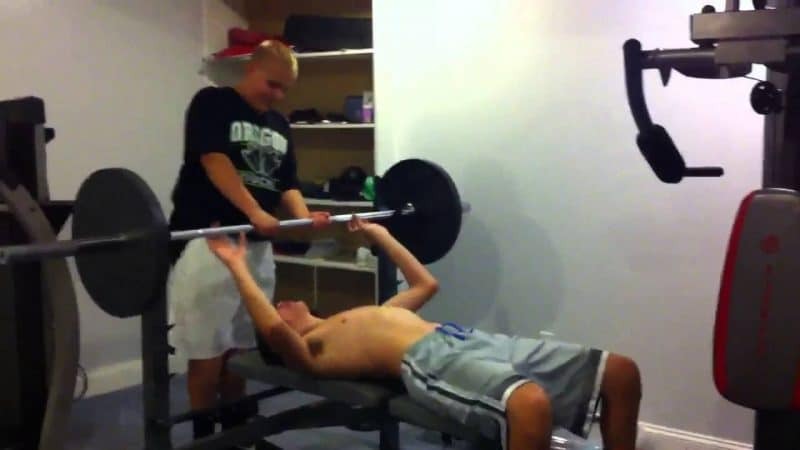 Testing your 1 rep max is testing your strength, and it’s pretty hard on your nervous system. Your nervous system takes a pretty hard hit when doing a true 1 rep max, practicing this will eventually lead to overtraining and needing to deload. 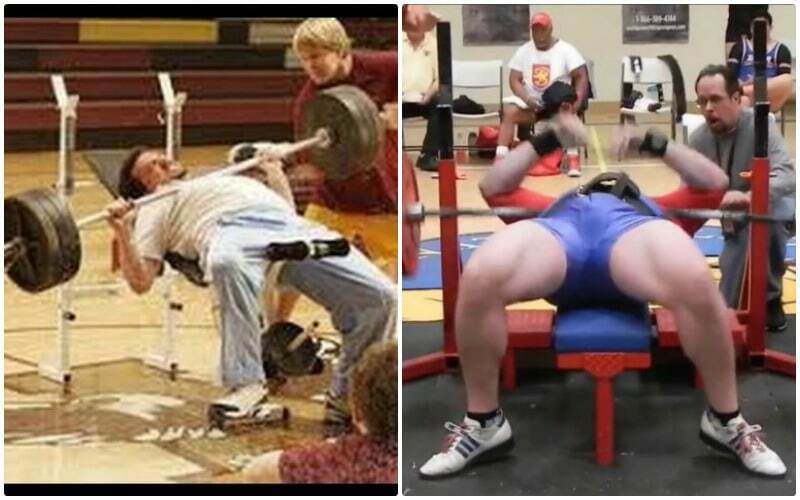 The way you unrack the bench will determine how your whole lift will go. You need to consistently hit your mark when you unrack, and make it an OCD habit to get it perfect. Make sure to slowly descend the weight and springboard it back up, racking it safely. If you’ve made it this far, you’re probably thinking “these are dumb tips, where is the good stuff” and I hate to tell you that consistency and doing something the same way correctly every rep that you do is one of the easiest ways to breaking through your sticking point. Great article……. I wondered if you ever planned on doing a chest periodization workout, like you have for bis,tris and shoulders? Maybe a back on was well? Thanks Chris. I have plans on compiling some great articles and getting some more helpful workouts out. I’ve been riddled with family emergencies and other things that are keeping me from writing as much as I’d like. Thank you for the kind words and check back for more articles!